At least I hope it’s not. Reporting on this date turns you into a teenager who’s just seen The Matrix – what’s reality? This seems a bit too commercially viable to be fake though – a 3.5-inch external hard drive with 8TB of unformatted space, powered by USB. Called the Innov8, it’s the first external storage device of its size to run on USB power alone. Like vast, empty spaces? You’re the type who’d get a kick out of the best space games on PC, I’d bet. As Bit Tech point out, historically external drives have come in two flavours. 2.5-inch storage tended to offer lower capacity but would run using a USB connection alone, whereas larger 3.5-inch drives intended to supplement desktop storage ran via a USB connection and an external power cable. The Innov8 does away with that extra cable, sucking up all the required juice via USB 3.1 and its increased power draw. Well, almost all the required power. In order to actually get going (remember, it’s an enormous 8TB stacked disk) it requires power from a battery within the drive enclosure. Seagate call this the Ignition Boost system, and it sounds like a smart workaround to keep things simple and have just that one USB 3.1 cable running between your machine and drive. The Innov8 will launch this April at an RRP of $349. 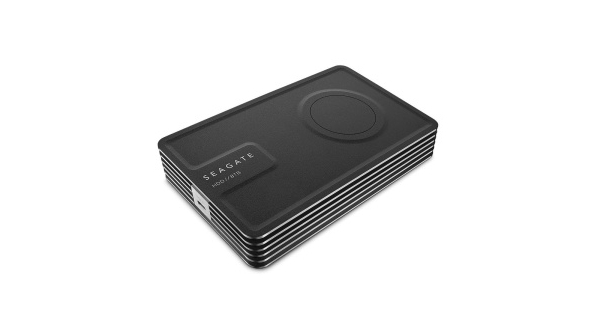 Seagate haven’t announced whether cheaper, lower capacity drives will follow.